like the image below. 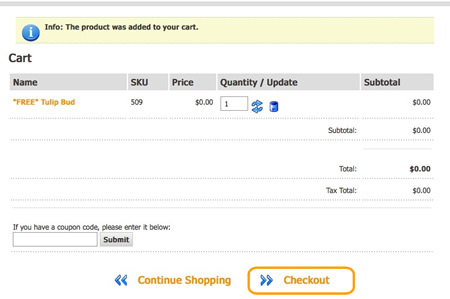 Click on "Checkout" (outlined in orange) to proceed. If you are a first time shopper at the Palace Store you will be asked for your "Billing Address"